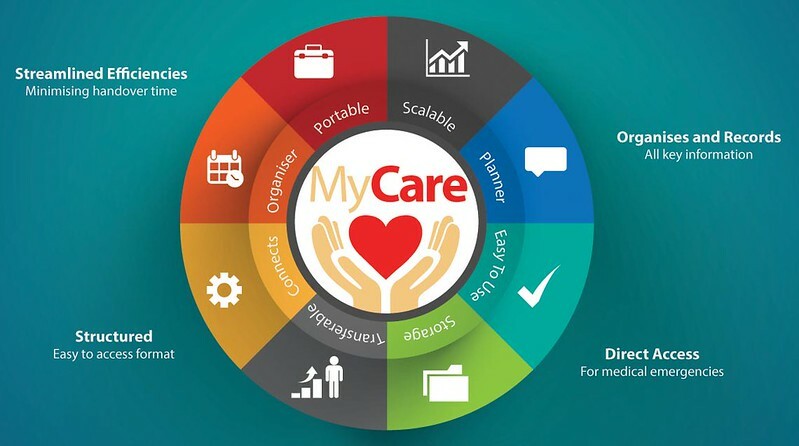 MyCare provides the National Disability Insurance Scheme, doctors, specialists, therapists, teachers and allied healthcare professionals with effortless access to vital information and reports effortlessly. People with differing healthcare needs including: those with complex care needs, disability, medical conditions, the elderly, their carers and families will benefit by using the MyCare information system. When you purchase MyCare Information System downloadable, printable pdf file, you become a proud Member. You will be emailed your own personal Members login password. Every person has individual healthcare providers so we have allowed seven customised sections for you to personalise. Storing paperwork from your G.P, therapists, specialists, education provider, employment provider, your healthcare team.